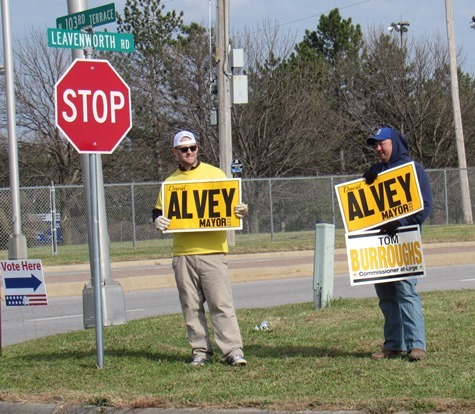 Alvey wins KCK mayor’s race – Welcome to Wyandotte Daily! 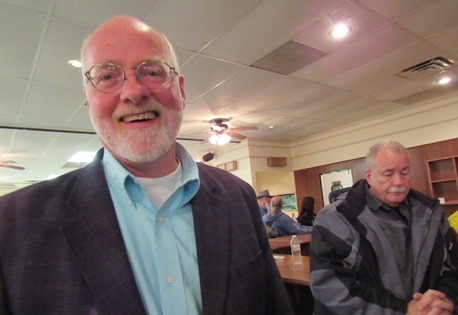 David Alvey won the mayor’s race tonight, according to final unofficial results. Alvey had 51.8 percent of the vote to incumbent Mayor Mark Holland’s 47.4 percent, according to statistics from the Wyandotte County Election Office. Alvey had 9,484 votes to Holland’s 8,672 votes. There were 138 write-in votes. She said Alvey and his supporters walked door to door, people heard them and voted. Alvey will be honest and upfront about the community’s problems and work with the people, she said. “When one door closes, another one will open,” Mayor Mark Holland told supporters at his campaign watch party tonight. “I will do everything to help the new mayor with the transition. “As of now I do not have any more political aspirations, however, who knows what the future will bring,” Holland said. 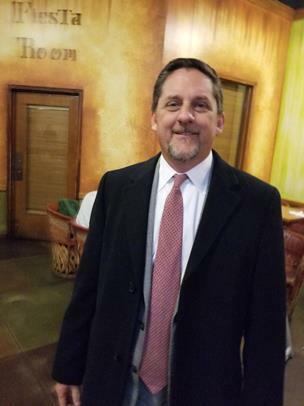 About 250 people were at the Holland campaign watch party tonight at the Tapatio Mexican Grill, 151 S 18th St.
See a related story, http://wyandottedaily.com/alvey-pledges-to-address-community-problems/. 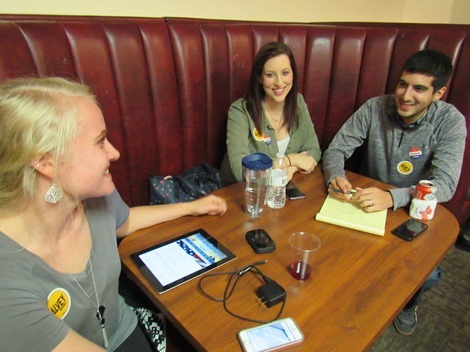 See election results at http://wyandottedaily.com/final-unofficial-results-for-general-election/.